This painting entitled Sanctuary for a King, the first in the series, will be sold by silent auction with proceeds from the sale being donated to Leicester Cathedral. In Leicester this May? Then you may want to stop by the Cank Gallery. Local Leicester artist Michael Harrison was commissioned to capture the events of Richard III’s interment this past March. In a exhibit entitled, Sanctuary for a King, Harrison displays his take on the events of that week through a series of impressionist styled paintings. The exhibition will open today and run until May 23. at the Cank Street Gallery, in Leicester. 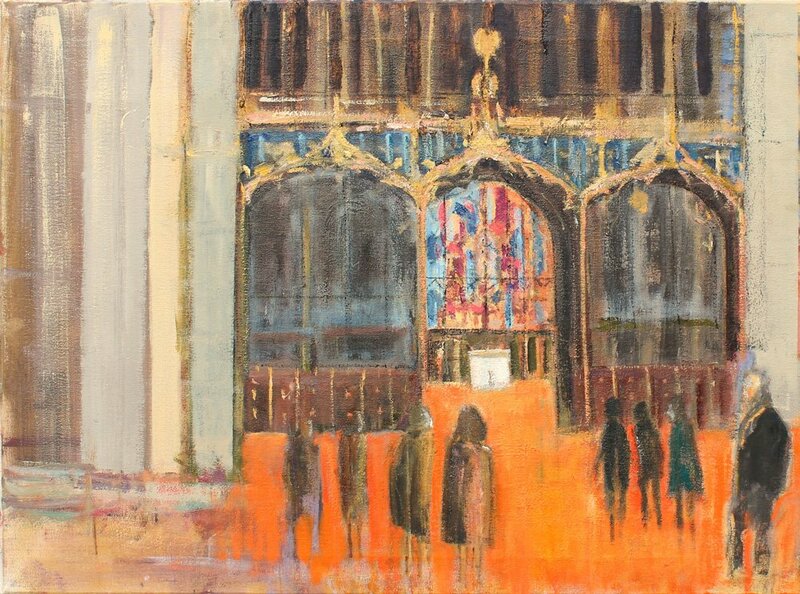 The first painting in the series is to be auctioned in aid of the work of Leicester Cathedral. Harrison was present during the week of ceremonies which culminated with the laying to rest of King Richard III in a specially built tomb, on 26th March. Harrison attended Academie Julien, the old Post-Impressionist studio, in Paris. His work has been accepted for the prestigious Royal Society of British Artists and has been shown at the New English Art Club Annual Exhibitions at the Mall Galleries. Harrison’s influences include impressionists Walter Sickert, Jean-Édouard Vuillard, and Pierre Bonnard.